One of the things we tend to do in astronomy is assign different names to things that are basically the same. Take, for example, the term perihelion. The word derives from the Greek peri (close) and helios (Sun) and represents the point at which an orbiting body is closest to the Sun. If a body is orbiting the Earth, then the term is perigee, from geos (Earth). Following the Greek, you get other terms: periareion for Mars, periastron for a star, and so on. There’s also the general term periapsis, but the cool kids like to use specific terms. So what about the closest approach to a black hole? What’s become popular is peribothron, from bothros meaning hole or pit. You’ll likely see the term a bit more because we’re now able to observe bodies reaching peribothron around the black hole in the center of our galaxy. 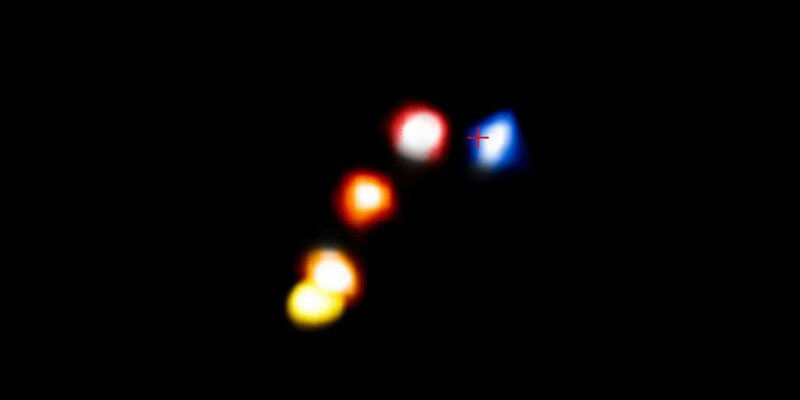 In particular, a body known as G2 has recently passed peribothron at a distance of only 36 light hours from the supermassive black hole, and we’ve imaged the event with the greatest resolution yet. Observing the center of our galaxy is difficult because there is a great deal of gas and dust between us and the black hole. We can’t see the region in the visible spectrum, but we can at radio and infrared wavelengths. This allows us to distinguish large bodies such as stars, but smaller stars and other objects are more difficult to distinguish. This has made G2 difficult to study. Because it’s smaller and dimmer than other objects in the region, it’s been difficult to know exactly what it is. 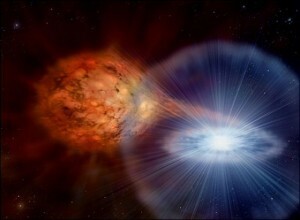 There was some indication that it could be a dense cloud of gas, but other evidence pointed to it being a star surrounded by dust. These latest observations are published in the Astrophysical Journal, and they point toward G2 being a young star rather than a dust cloud. You can see this in the figure above, which shows G2 at various times as it passes peribothron. The images are color coded to indicate the Doppler shift of G2. 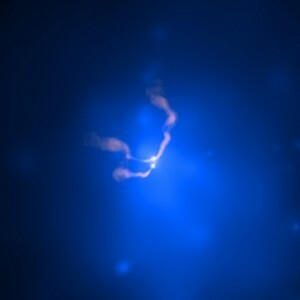 What it shows is that even at closest approach G2 remains compact, and moves uniformly around the supermassive black hole (located at the + in the figure). If it were merely a dense cloud of gas, we would see some distortion of shape and motion due to the tidal forces of the black hole. This means G2 must be a compact body, and given its temperature and estimated mass, it is likely a young star. In many ways it’s amazing that we have a term like peribothron. It means we’re now able to observe in detail the orbits of stars around black holes. We’ve come a long way from the astronomy of the early Greeks. So what would be the higher point of an orbit around a black hole? An apbothron? apobothron? Apeobothron? This-is-getting-ridiculous-bothron? Apobothron is my guess. What i’d like to know is what would be the appropriate terminology for for objects in relation to the galactic center itself. I don’;t think apo/perigalacticon cuts it since that is relation to objects near to/far from the galaxy as a whole.